I always joke that Heaven is different for everyone. When my husband dies, his Heaven might be an endless golf course (where he gets to play Tiger and beats him round after round). When I die, I hope to find an endless buffet of the most incredible food, and I never get full. 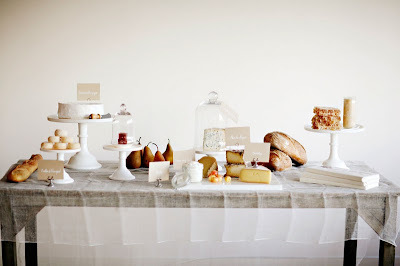 So I laughed when I saw this photo on Sunday Suppers because it's what an endless buffet in Heaven should look like. And of course there would be a table devoted to cheese!